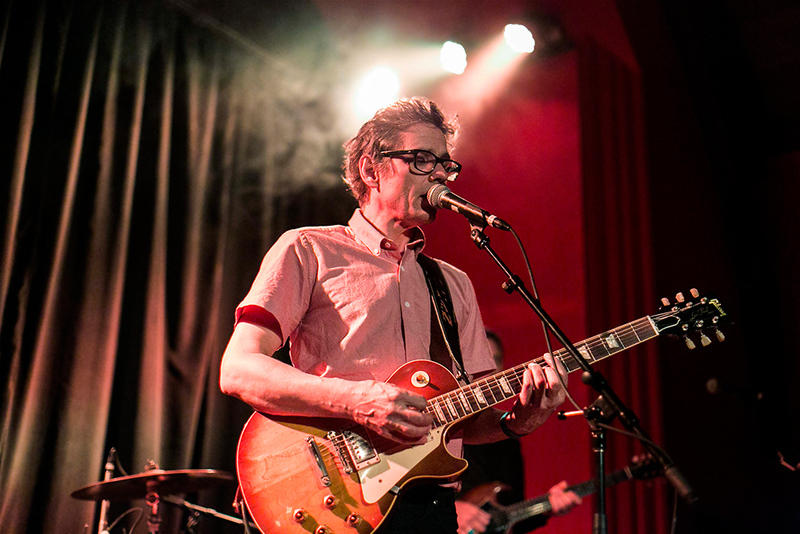 Having spent the last 25 years in a trio, a quartet, and a duo, Dean Wareham (Galaxie 500/Luna/Dean and Britta) finally released his first solo album earlier this year. The self-titled record doesn’t veer too far from the sound of later Luna records, though it’s a bit more on the rock side than the Dean and Britta records. At this point in his career, I can’t imagine many attendees of a Dean Wareham show are looking for many surprises, and that’s just fine. As a recent New York-to-California transplant myself (Wareham and wife/bassist Britta Phillips recently relocated from Manhattan to LA) and having been to at least half a dozen Luna/Dean and Britta shows in New York, hearing Wareham’s warbly voice and warm guitar sounds went a long way to making me feel a little more at home/homesick. After a fun set of jagged rock from LA outift HOTT MT, Wareham, flanked by a band including Phillips, ran through a 16-song set of songs from the solo record, as well as a healthy serving of songs from the catalogues of Luna (“Tiger Lily,” “Moon Palace,” “Lost in Space,” and Luna’s cover of Beat Happening’s “Indian Summer) and Galaxie 500 (“When Will You Come Home,” “Tugboat,” “4th of July”).